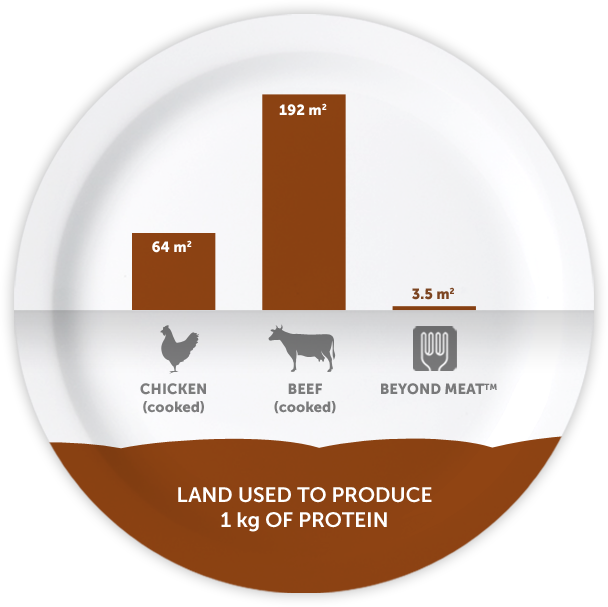 On one hand, plant-based alternatives to meet the growing global demand for meat may be the future of food. On the other hand, Soylent has been heralded as the end of food. Think of any task and chances are someone is developing a new mobile electronic device for it. Technologies exist that pay for your coffee, track your UV light exposure, and even drive your car, but can one also simulate flavor? With that question in mind, scientists led by Nimesha Ranasinghe at the National University of Singapore are developing a device that can scintillate your tongue with sour, bitter, salty, and sweet tastes without the use of any chemicals or actual food. 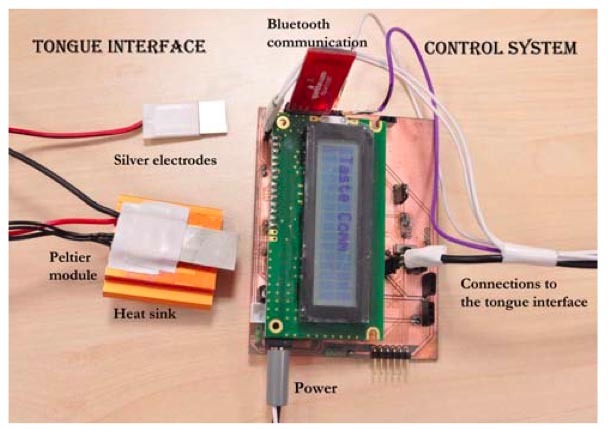 The “Tongue Mounted Digital Taste Interface” uses a two-probe system to send electrical and thermal signals to the tongue to produce taste. By altering the magnitude of the electric currentA (20 – 200 mA), frequency of electric pulsesB (50-1000 Hz), and temperature (20 – 35 °C [68 – 95°F] ), the interface changes the flavor profile and intensity the wearer experiences. For example, increasing the magnitude of the electrical current strengthens sour, bitter, and salty sensations1. To understand how this system works, you have to first understand the anatomy of a taste bud (Figure 3). Figure 3: Diagram of a Taste Bud2. When food enters the mouth, it is broken by chewing and mixed with saliva, which dissolves small food molecules like salts and sugars. These small molecules enter the taste pore and react with taste receptor cells. These taste receptor cells activate attached nerves, which transfer electrical signals to the brain that transmit the sensation of taste. In other words, a molecular signal is converted into an electrical one. 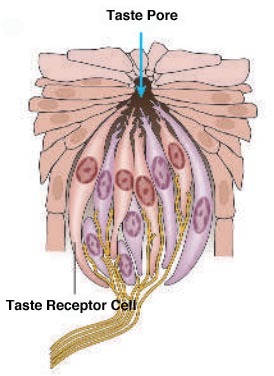 Direct stimulation of taste receptors with electricity bypasses the need for initiating the signal using molecules and directly triggers signals to the attached nerves cells, which produce taste. This is supported by research that shows electric stimulation of the tongue alone has produced sour, bitter, and salty sensations2. In addition to an electrode, a temperature probe was also included, as changing temperatures can trigger taste sensations. For example, a previous study found that warming the front of the tongue evoked a sweet sensation, while cooling caused a salty/sour taste3. These scientists suggested this property of taste might be part of the hard wiring of the taste bud because the reverse had been shown to occur. Temperature specific nerve cells in the mouth were shown to respond to bitter and sour substances. Therefore, if temperature receptors can respond to taste, then taste receptors may also react to temperature. While this technology is still in its infancy, it has the potential to enhance the overall gastronomic experience. Movies, video games, and TV shows could have flavor simulators that immerse your sense of taste into their world. Alternatively, chefs might be able to share the flavors of their dish remotely with patrons in the comfort of their own homes. Whatever its ultimate use, Nimesha Ranasinghe and his team’s work challenges our expectations of how flavor can be experienced and encourages others to push the boundaries of how new technologies interact with food. Cruz, A. and Green, B. 2000. Thermal stimulation of taste. Nature 403 (6772): 889-892. A altering the magnitude of the electric current: The electric current, a measure of the flow of electric charges across a surface, is measured in amperes. A portable hearing aid is powered by about 0.7 microamperes, which is 3.5 times higher than the upper range of the taste electrode. B frequency the electric pulses: The frequency of electric pulses is measured in hertz, which is defined as cycles per second. It is standard for the electricity (AC current) that you receive from an outlet in the US to operate at 60 Hz. About the author: Vince C Reyes earned his Ph.D. in Civil Engineering at UCLA. Vince loves to explore the deliciousness of all things edible. 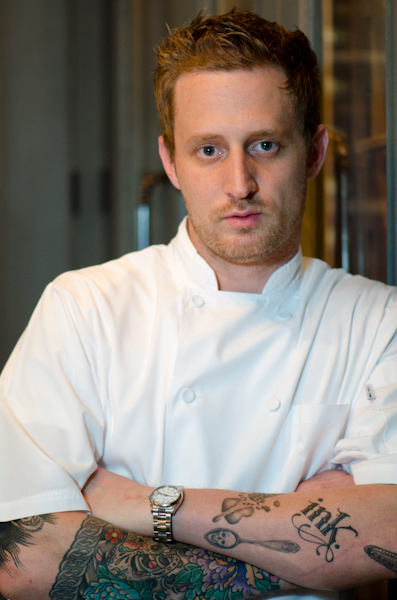 Michael Voltaggio is the winner of Top Chef Season 6 and the owner and head chef of ink. in Los Angeles. Michael is known for his adventurous cooking, melding his classical repertoire with unconventional techniques. What hooked you on cooking? The coolest example of science in your food? The use and control of temperature to create various textures. The food you find most fascinating? The ones that mother nature provides us – that in their purest form require little to no manipulation. What scientific concept–food related or otherwise–do you find most fascinating? Right now, hybridization of plants, creating new vegetables and ingredients. Your best example of a food that is better because of science? Sous vide cooking. 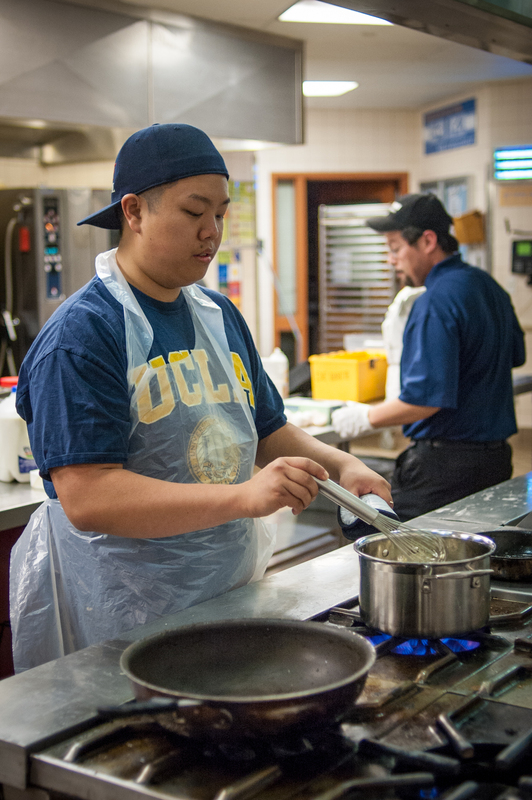 It has become a basic cooking technique much like braising, sautéing, frying, etc. How do you think science will impact your world of food in the next 5 years? Science will help chefs do their jobs more efficiently by giving us tools we need to achieve new and precise results. One kitchen tool you could not live without? Five things most likely to be found in your fridge? Condiments, champagne, lunch meat, cheese and leftover Chinese food. Adding alcohol to a pie crust is a fairly mainstream way of obtaining a nice flaky shelter for a delicious filling within. Vodka is the go-to spirit for crusts, but other beverages have found their way into the realm of apple pies too. 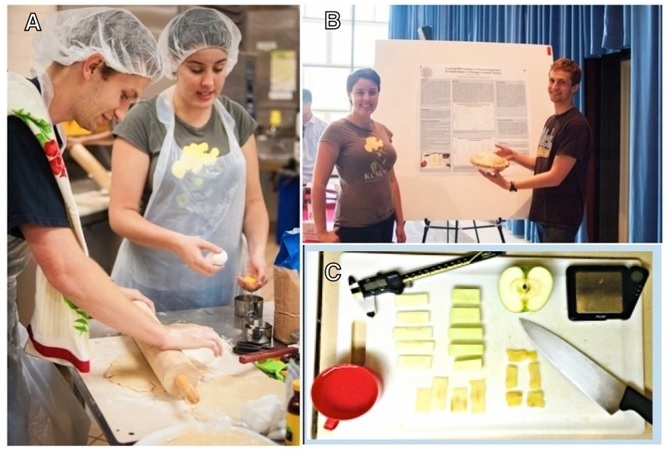 One team at the 2014 Scientific Bake-Off, team P.I.E. (Pretty Intense Pie Enthusiasts), was intrigued by the plethora of alcoholic options available to them for pie crusts, and chose to use their scientific prowess to determine the best choice. Two variables guided their experiment: how do carbonation and alcohol concentration affect the flakiness of a pie crust? Team P.I.E. began by making six experimental crust doughs, each containing either water, beer, stale beer, diluted vodka, regular vodka, and Perrier. To measure flakiness, a quality difficult to quantify, they compared the average height for each baked pie dough to indicate how much the dough has risen during baking. To account for bubbles, height measurements were taken at the center and edges of the crust. These pie researchers calculated the elastic modulus of each crust to further quantify flakiness. Elastic modulus of a substance is the ratio of the stress applied to the resulting strain. This ratio can be thought of as a measure of stiffness, or in our case, flakiness, as the flakiest crust will break the most easily. 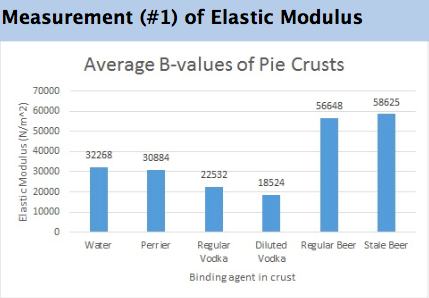 Pie crusts that utilized both forms of beer had a higher average elastic moduli than crusts with other binding agents. They administered force to their crusts by using a pen to mimic the conditions of fork prongs stabbing a pie crust. Measured values of water balanced atop the pen acted as a weight to provide precise values of force. Through this extensive research, P.I.E. 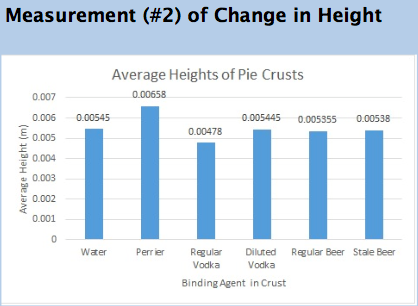 presented data that showed that a pie crust made with Perrier sparkling water created a significantly thicker crust than one made with any of the other experimental liquids. All the other crusts surprisingly rose to very similar heights. Since P.I.E had observed similar bubble size and bubble concentration in Perrier and beer, they expected that the regular beer crust would yield similar data to the Perrier crust. However, the significant difference between the measured values of Perrier and beer imply a confounding factor in the experimental comparison. They speculate that Perrier’s high mineral content could alter the vaporization temperature of the liquid, and thus affect the creation of air bubbles and the dough’s infrastructure. The dedication to detail and the scientific method paid off for these three scientists, as the panel of esteemed judges awarded them the title of “Best Scientific Pie”. As this was a scientific bake off, that is a pretty high honor to hold. Congratulations to the Pretty Intense Pie Enthusiasts, and we thank you for your deliciously scientific dessert! Combine flour, sugar, and salt in a large bowl. (if making full recipe will require a very large bowl) Cut chilled butter into cubes and cut into flour mixture with a fork or pastry cutter. The flakes can vary in texture but absolutely no butter cubes should remain intact. The mixture will resemble corse sand. Measure out beer starting at 1/2 cup. Pour in and incorporate into dough. If dough is still dry, incorporate more beer in until the dough is just moist enough to stick together. Wrap dough in saran and refrigerate for at least 30 minutes, up to overnight. To prep the filling, core and peel all your apples and soak them in enough beer and/or hard cider to cover for 1-2 hours or until the apples are infused to taste. Pour out liquid and reserve for reduction sauce later. Be sure to remove all the liquid from the bowl and allow the apples to dry for roughly 30-45 minutes. The apples will look significantly less “wet” after the drying period. After the apples are dry, combine them with flour, sugar, lemon zest, cinnamon, and salt. Depending on the sweetness of your hard cider/beer, you may need to adjust the amount of sugar used. Pre-heat home oven to 500 degrees. Section pre-chilled pie dough into four equal segments and roll out two of the pie dough segments. Place these over buttered glass pie dishes and fold into place. Split filling evenly and pour into each dish. Dot top of apples if additional butter if desired (roughly 1 TB per pie). Roll out the remaining pie crust into two top pieces. Sprinkle each top pie with an equal amount of cheese. Cheese amount will depend on strength and personal preference for cheese. Flour pin well and lightly roll/ press cheese gently into the crust (dough will be very flaky). Lay top crust evenly over pie with cheese side facing up. Crimp edges and brush with egg whites. About the author: Elsbeth Sites is pursuing her B.S. in Biology at UCLA. Her addiction to the Food Network has developed into a love of learning about the science behind food. This duo of student scientists aimed to create a pie with the crunchiest apple filling by experimenting with four different types of apples: Granny Smith, Red Delicious, Pink Lady, and Fuji. To determine which apples had the greatest resistance to applied forces (and thus remained crunchiest), they measured both the force required to cut through each kind of apple and the “elastic modulus”, which is the amount of deformation caused by a given force. 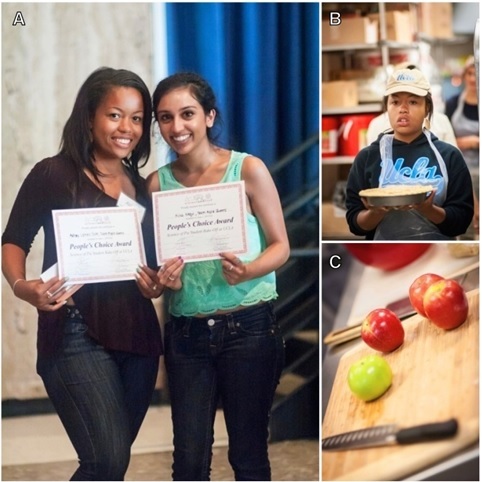 (A) Team Apple Queens receives the People’s Choice Award at the 2014 Xcience of Pie event. (B) Lipkins-Scott carries the team’s cinnamon crumb pie to the oven. 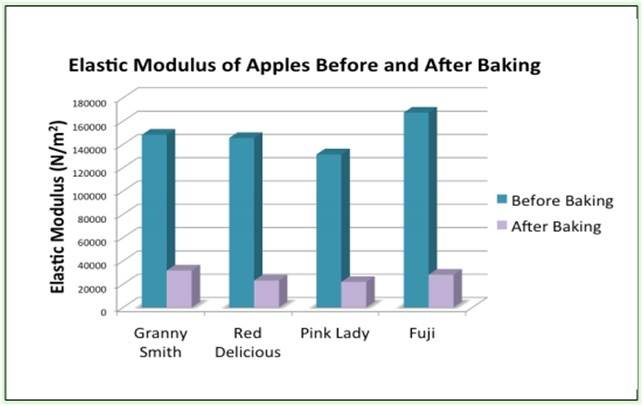 (C) Fuji and Granny Smith apples were used for the Apple Queens’s pie because the team found that these apple varieties had the highest values for elastic modulus. 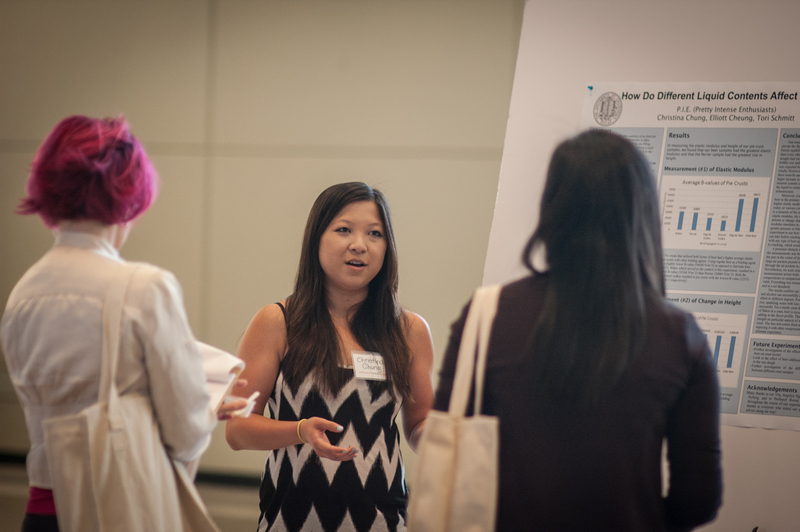 Photos courtesy of Patrick Tran. To measure the elastic modulus for each apple variety, the team applied a known weight to the apple slice and measured the deformation using a ruler before and after the apples were cooked. (See Panel A & B below). In addition, they wanted to see which apples had the most resistance (and thus, crunch) by measuring the force used to cut through the apples in a “Puncture Force” Test. For this test, the team added increasing volumes of water into a pot balanced over a knife to determine the mass of water required for the knife to cut through the apple slice. (See Panel C below). After the apples are baked, their lengths (A) and deformations (B) are measured to obtain the elastic modulus. (C) The Puncture Force Test measures the force required to cut through the cooked apples. Before baking, the Fuji apple had the highest elastic modulus of 170,000 N/m2 and the Pink Lady had the lowest elastic modulus of 130,000 N/m2. After baking, the Granny Smith had the highest elastic modulus of 32,000 N/m2 and the Fuji had the second highest elastic modulus at 28,000 N/m2. In the Puncture Force Test, the baked Granny Smith apple required the highest puncture force of 18N. Team Apple Queens found that the cooked Granny Smith apples exhibited the highest elastic modulus and also required the greatest force to cut through. Thus, the Granny Smiths were most resistant to external pressure and remained the crunchiest after baking. Having both the second highest elastic modulus and the second greatest puncture force were the Fuji apples. 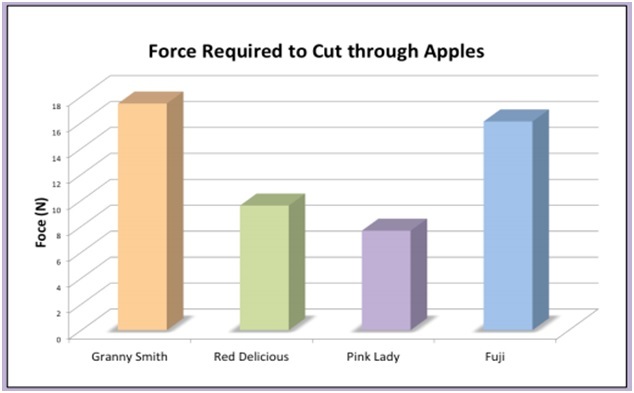 Based on these results, the team hypothesized that Granny Smith and Fuji apple varieties may contain more of the polysaccharide pectinto fortify their cell walls and make them harder, crunchier apples. The students of Team Apple Queens stand proudly by their winning pie and poster. Position a rack in the center of the oven and preheat to 375°F. In a large bowl, mix flour, salt, and sugar. Add butter and shortening; rub in with fingertips until coarse meal forms. We want to incorporate flattened sheets of butter into the flour mixture to get a flaky crust. In a small bowl, mix three tablespoons of ice water and vinegar. Drizzle the water and vinegar solution over flour mixture. Stir with fork until moist clumps form, adding more water by teaspoonfuls if dough is dry. Gather dough into ball; flatten into disk. Wrap in plastic and refrigerate for at least 30 minutes. Refrigeration is important for allowing gluten strands to relax (so the dough becomes easier to roll out), and for letting letting liquids incorporate to moisturize the dough. Roll out dough on lightly floured surface to 12-inch round. (About 1/8th 9-inch-diameter glass pie dish.) Trim overhang to 1/2 inch; turn edge under and crimp decoratively. Refrigerate while preparing filling and topping. Mix all ingredients in a large bowl to coat apples. Blend all ingredients until mixture resembles wet sand. Toss the filling to redistribute juices and then transfer to crust, mounding in center. Pack topping over and around apples. Bake pie on baking sheet until topping is golden, about 1 hour (cover top with foil if browning happens too quickly). Cool until warm, about 1 hour. 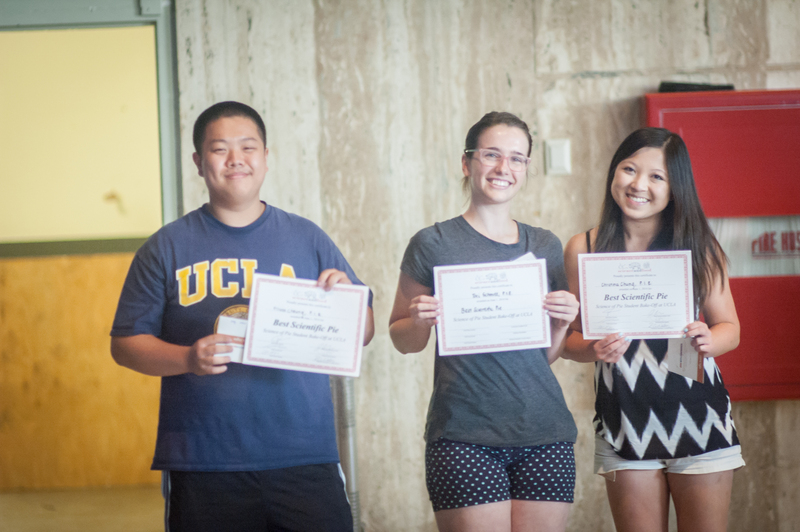 About the author: Eunice Liu is studying Neuroscience and Linguistics at UCLA. She attributes her love of food science to an obsession with watching bread rise in the oven. If you’ve baked an apple pie, you have probably encountered the dreaded problem of a soggy pie crust. The student scientists of Team On the Road sought to solve this pie-baking mishap by determining the optimal apple slice thickness; the idea was that apple slices of varying thickness would release different amounts of water when baked, with more water released giving rise to a soggy crust. To investigate the effect of apple slice thickness, they cooked apples of different slice geometries, and measured the “elastic modulus”, which is how much the apple pieces deform in response to a given applied mass. (A) Copperman rolls out the pie crust while Cary prepares ingredients. 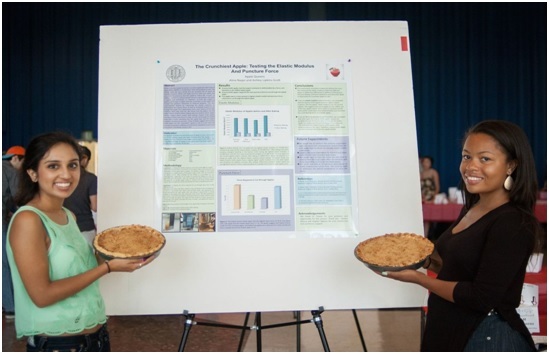 (B) The team presents their pie and poster at the 2014 Science of Pie event. (C) The team tested the elastic modulus of apple slices of varying thicknesses. Photos (A) and (B) courtesy of Patrick Tran. Photo (C) courtesy of Team On the Road. The team prepared five different samples of apple slices with thicknesses: 3mm, 6mm, 9mm, 12mm, and 15mm. The apples of each thickness group were recorded for mass and elastic modulus before and after being baked for 20 minutes at 375°F. The elastic modulus is shown as a function of slice thickness for uncooked (blue) and cooked (red) apples. 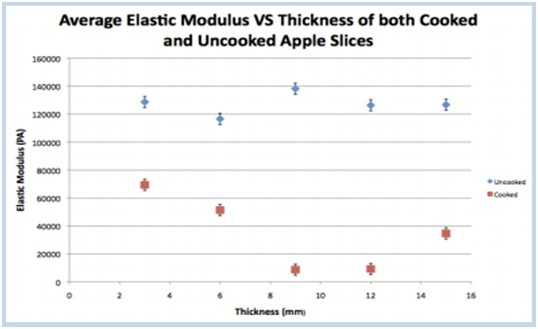 The thinnest apple slices (3mm) had the least change in elastic modulus. In fact, as the slices increased in thickness, they showed increased deformation in apple shape and texture after cooking. There is an exception for the thickest apple slice (15mm), which the team attributes to the thickest apples not being fully cooked in 20 minutes. Because the thinnest apple slices maintained their firm texture and released the least amount of water, Team On the Road used extremely thin apple slices in their final pie. Soggy pie crusts, begone! Thin apple slices are here to save the day! Note: While the team cut their slices by hand, we recommend using a mandoline to achieve uniformly thin slices of applies. Adjust oven rack to lowest position, place rimmed baking sheet on rack, and heat oven to 400 °F. Process flour, sugar, and salt together in food processor until combined, about 5 seconds. Scatter shortening over top and pulse mixture for 5 times, 2 seconds each pulse. Scatter butter over top and pulse mixture until it resembles coarse crumbs, about 10 pulses. Transfer mixture to large bowl. Add 3 tablespoons ice water over the mixture. Stir and press dough together. (The team used a stiff rubber spatula.) Add 3 more tablespoons of water and mix until dough sticks together. Continue to add remaining ice water, less than 1 tablespoon at a time, as needed until the dough comes together. Divide dough into two even pieces. Next, it is very helpful to lightly flour counter, hands, and rolling pin. Roll out dough into 12-inch diameter circles and transfer one of the circles into pie pan. Let excess dough hang over the edge. Press dough lightly into the bottom, corners and edges of pan. Wrap in plastic wrap and refrigerate for at least 1 hour. Wrap the other pie crust dough in plastic wrap and refrigerate. Refrigeration is important for allowing gluten strands to relax (so the dough becomes easier to roll out), and for letting letting liquids incorporate to moisturize the dough. Mix sugar, flour, lemon zest, salt, nutmeg, cinnamon, and allspice together in large bowl. Add lemon juice and apples and toss until combined. Let apples sit in mixture for 5-10 minutes. Remove pie dough from refrigerator. Pour apples into the dough-lined pie pan, adding about half of the liquid from the apple mixture to the pie pan. Spread apples so that they create a slight mound in the middle. Loosely roll remaining dough round around rolling pin and gently unroll it onto filling. Trim overhang to 1/2 inch beyond lip of pie plate. Pinch edges of top and bottom crusts firmly together, pressing overhanging dough towards the pie pan until it lies flush with the pan. Crimp dough evenly around edge of pie using your fingers. Cut a 2-inch “X” into the upper crust. Brush surface with beaten egg white and sprinkle evenly with remaining 1 tablespoon sugar. Place pie on heated baking sheet, and bake for 30 minutes. Rotate pie and bake for an additional 30 minutes. Crust should be golden brown. If necessary cook for up to 10 minutes longer. Let pie cool on wire rack. Serve at room temperature. Fourth of July would not be complete without a barbecue. Join the debate and pick a side between charcoal or gas grilling. 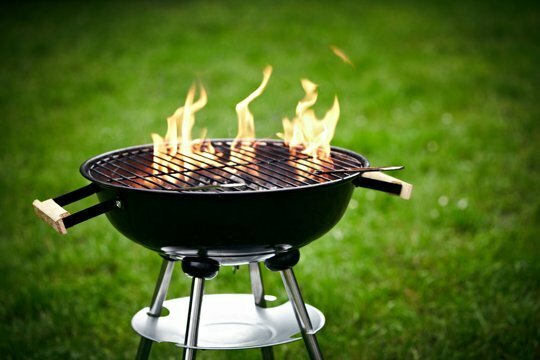 Afraid of the health risks of grilling? A good beer marinade can help reduce those risks. Find out how. 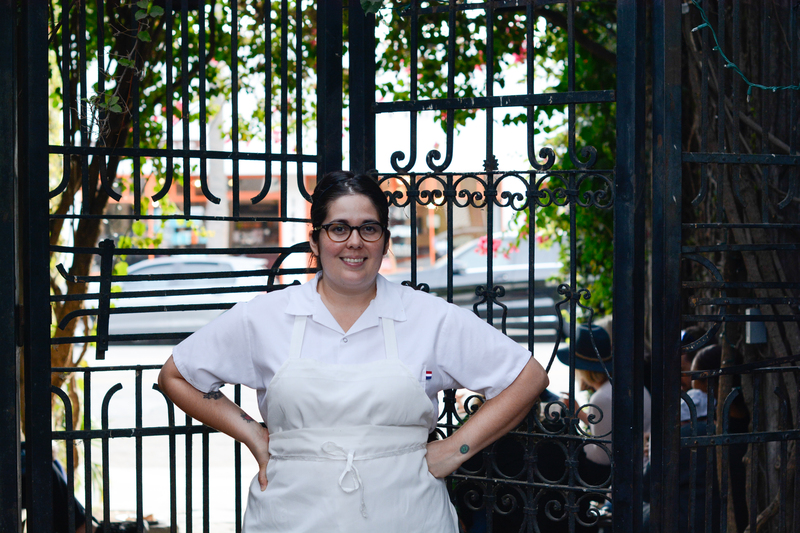 Nicole Rucker is a pastry chef for the Gjelina group, more specifically, Gjelina Take Away in Venice. At the beginning of her culinary career, Rucker worked in various bakeries and cafes across California, from San Francisco to San Diego. In the quest to create the perfect pie crust, Rucker came up with a recipe that helped her win the KCRW Annual Good Food Pie Contest in Los Angeles, as well as a blue ribbon in the National Pie Championship in Orlando. Fascinatingly, her award-winning apple pie utilizes dried apples and cardamom. In short – Failure. I used to watch a lot of cooking shows as a teenager, and I would try to make the recipes from the shows for my family. I grew up in a single parent household and I made a lot of the meals for myself and my siblings. I wanted to impress a young man one summer and I tried to make a cake from scratch with my best friend, it was a complete mess. So I started from that culinary failure (and the many more to come…) and worked my way to a place of understanding. This is what hooked me, the desire to understand. The point of doneness and its many indicators. The reactions of methods and applications and ingredients. The scientific method of figuring things out – even down to what tastes good with what. Adding salt to fruit – thats a practical application of a very simple scientific reaction. Fruit and vegetables – Its magical the way nature and man cooperate (or not) to make these things edible. I’ve always been in love with apples and tomatoes and their many varieties. The cultivation of produce – I’m not talking about the Monsanto GMO stuff, but the kind of thing my grandpa used to do, tying one citrus plant to another citrus plant, or developing a hotter chile by grafting… this stuff I could hear about all day long. Mustard, Aged White Cheddar, kale, eggs, BUTTER. Well, salt is the always favorite ingredient… but other ingredients come and go, my favorites change by the week or the season. Currently in heavy use is buckwheat flour. Talk to me in a few weeks and it will probably be lemon verbena and further into summer… elephant heart plums. Eggs and bacon in any form with toast, coffee or tea.